Why Choose Midwest String Rentals? Simply stated, you will find the best stringed instruments, set up to the best specifications, as well as the best service standards in the Chicago area at Midwest String Rentals. Any string student needs three things to get the right start and maintain momentum: a good teacher, ample encouragement, and a quality instrument, properly set up. At Midwest String Rentals, we understand the importance of making the most of your child's first steps in his or her musical life, whether developing the foundation of a satisfying musical career or embarking on a lifelong love of the arts. 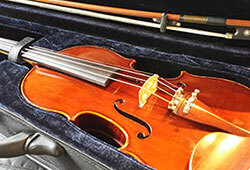 Midwest String Rentals is proud to offer high-quality violins, violas, and cellos. Entirely hand-made of premium seasoned maple and spruce that any maker would admire for resonance and appearance, these instruments are crafted with workmanship normally found in those costing much more. Our rental program offers Jay Haide instruments, an excellent option for players of all abilities due to their tone and playability. As they arrive at our workshop, each instrument is carefully inspected for consistency and is given a full professional-quality setup. Unlike other rental programs where this crucial step may be given little attention, Midwest String Rentals setups—custom-fitting the pegs, soundpost, and bridge—are done to exacting standards in our own workshop. 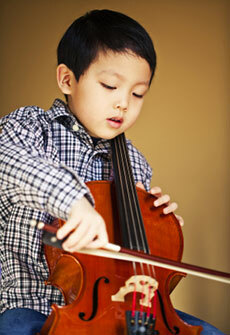 Instruments are then test-played to ensure that they are adjusted for optimal tone quality. As players ourselves, we understand how important the right strings are to the playability of an instrument. We maximize the potential of our instruments by using high-quality strings, the same brands preferred by many professional players, and make replacement strings available at competitive prices. Each rental instrument comes with the proper bow. Our standard bow is a Midwest String Rentals brazilwood bow, which provides superior tonal properties. We are devoted to bringing our customers the highest quality and service standards at truly competitive rates. Should a problem occur with your rental instrument due to defective merchandise or setup, Midwest String Rentals will adjust, repair, or replace the instrument.